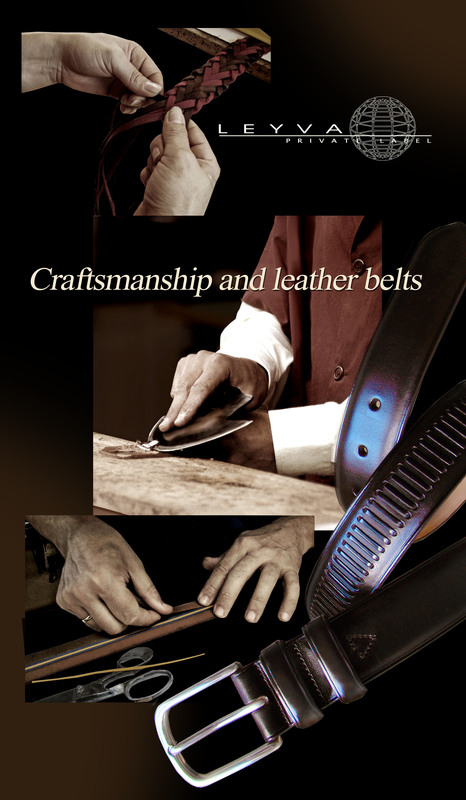 Leyva Private Label manufactures straps made with leather and fabric, leather braids and hand painted leather straps for men and women belts, which are personalized to meet each customer's specific needs and to differentiate their collections. Our straps are made with handcrafted processes; leather is hand-dyed in our factory and treated for special effects such as an aged or distressed look. Upon request, we can also supply finished belts with buckles provided directly by a customer or by our customer’s supplier. The company is highly valued in demanding markets due to our Creativity and the application of New and Original Techniques for working with leather.